These Embassy and Consular files are a prime source for social, political, economic and diplomatic historians studying the history of modern Japan. 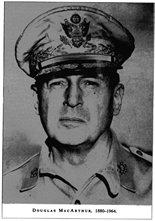 There are interviews with General Douglas MacArthur. There are key files on the Japanese Constitution and the Peace Treaty. Many documents cover Japanese relations with Asia. There is extensive coverage and comment on the Proceedings of the Japanese Diet. The Occupation of Japan and SCAP Headquarters. Underground anti-democratic forces in Japan. The Black Market in Japan. The economy and reconstruction in Japan. Japanese and Korean war criminals. The social welfare of women. Shell Oil Company interests in Japan. Leading Personalities in Japan in 1956.